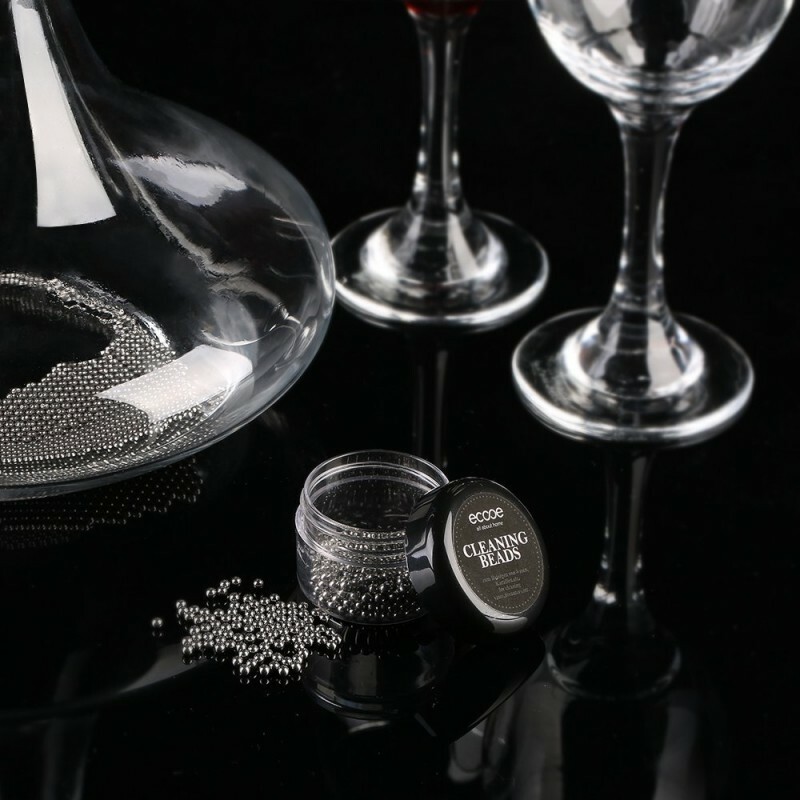 A lifesaver for stained decanters. 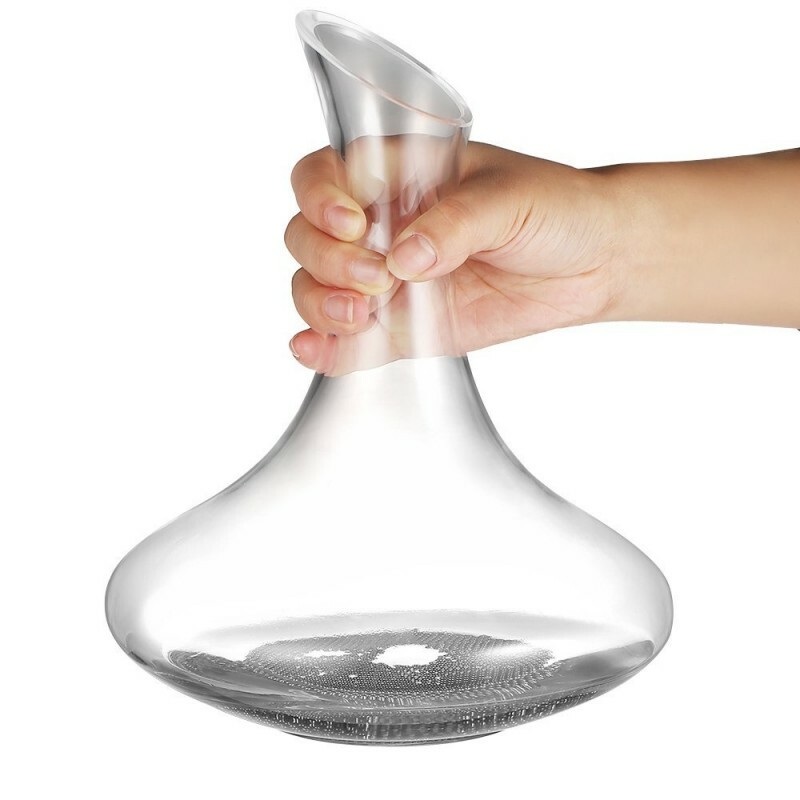 Gobble up the stains and deposits of your decanter, especially tricky corners hard to reach. 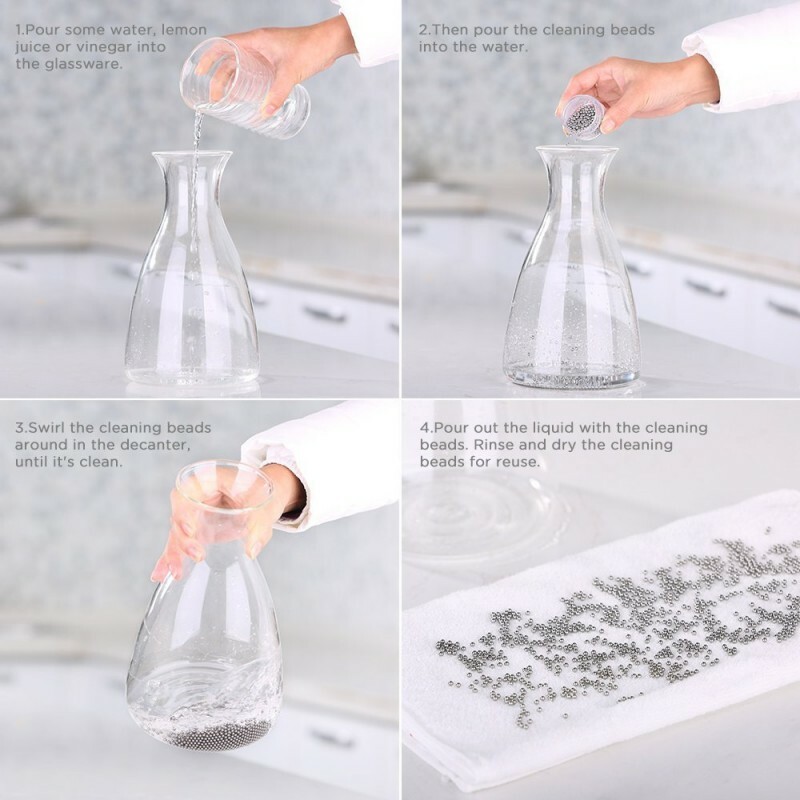 And turns your stained yet well-loved decanter into a brand new one, effortlessly. A little bit water, lemon juice or vinegar and some beads will do the magic. 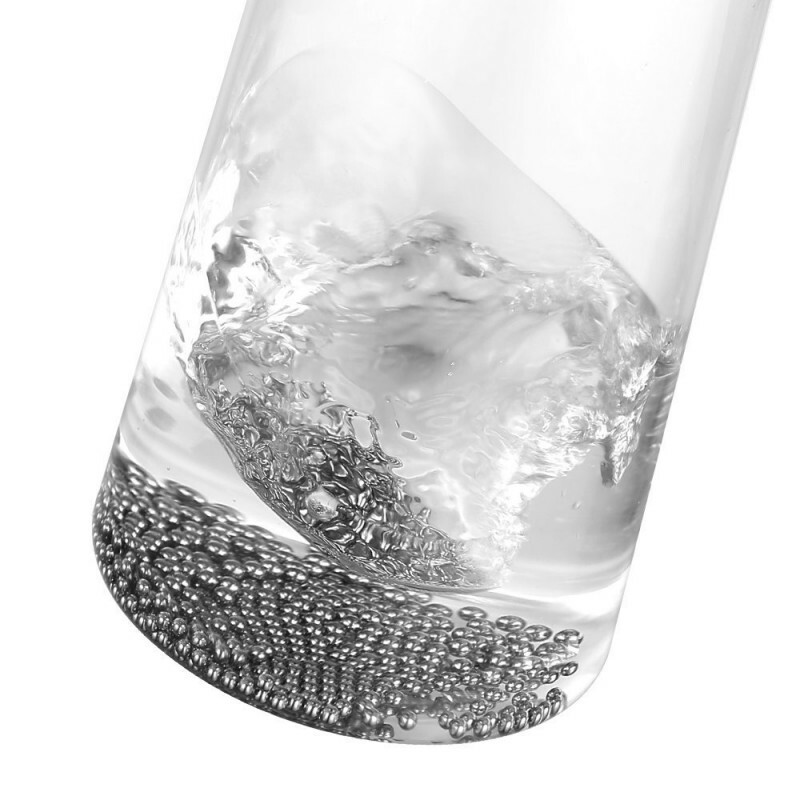 Just pour and swirl, you will get a sparkling decanter. 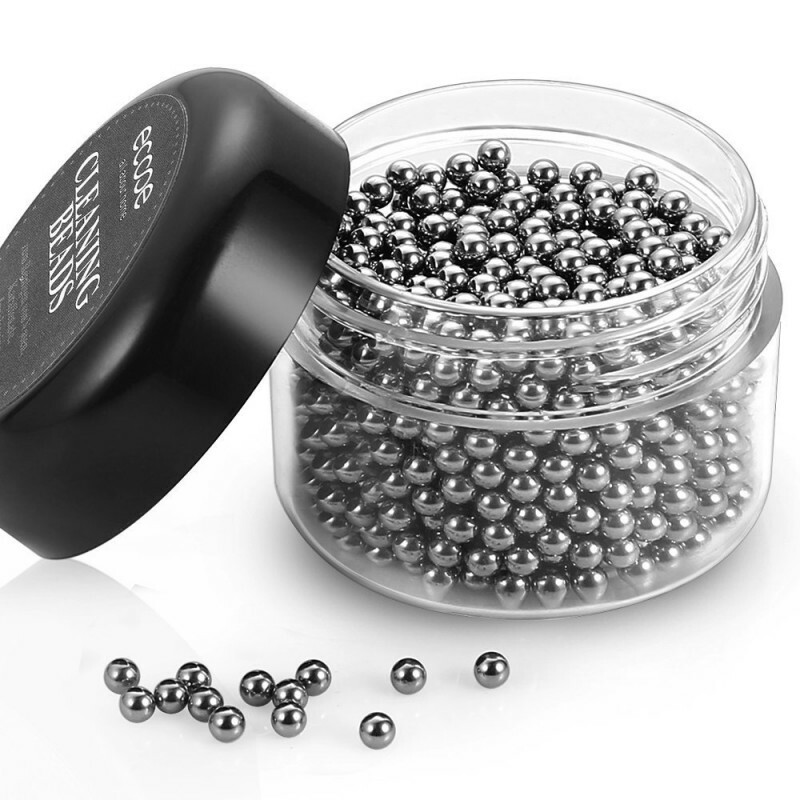 Made of 18/10 stainless steel, the beads are built to last for many years — a real money saver and a safer cleaning option for drinking vessels.